This Kids T-shirt is the perfect combination of two of Judaism's most common symbols. 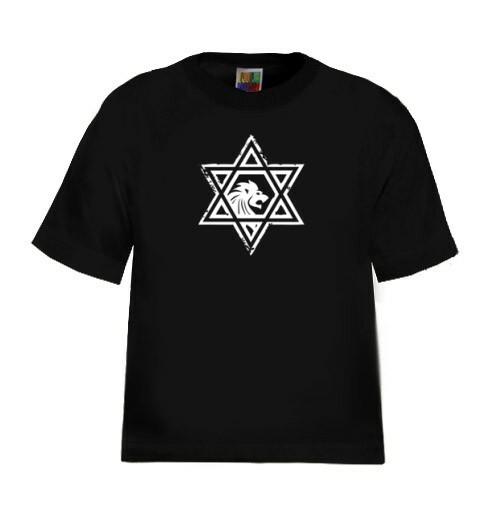 Standing out is the Star of David and within it is the Lion of Judah. Casual Star of David Kids T-shirt is truly one of a kind, wear it proudly!. Made from 100% High-quality combed cotton T-shirt. Our t-shirts are made of 100% cotton and are long lasting with bright colors. Our products are all designed and printed in Israel.